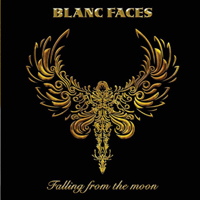 Blanc Faces mirrors some of the great artists of the 80's melodic rock scene - Foreigner, Chicago, Journey and Toto. The La Blanc brothers, Robbie and Brian, hence the strange name, have on this, their sophomore album once more been working with the same team that made their self-titled first album such a thrill: Kyle Woodring (Drums, Dennis DeYoung/Styx, Survivor, John Mellencamp), who sadly passed away just weeks after the recordings was done, Jeff Batter (Cannata) on keyboards, and Butch Taylor and Michael Patzig on lead guitar. Never change a winning team, so Dennis Ward has mixed this album as well, and the sound is crystal clear and well defined.